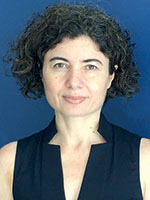 Nelly Lahoud is Senior Fellow for Political Islamism at the International Institute for Strategic Studies (IISS). 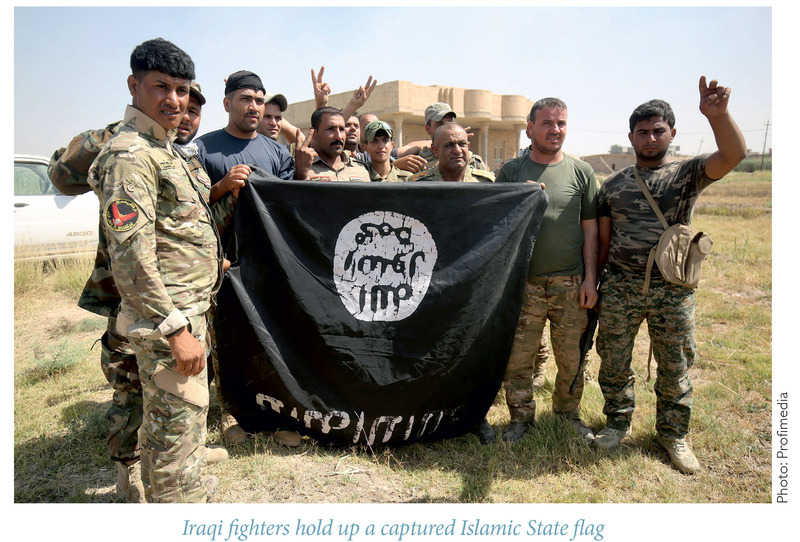 This essay examines the state-building track record of the global Islamic State (IS) proclaimed in 2014, as well as that of its parent group, the Islamic State of Iraq (ISI)—founded in 2006. It explores the factors that led the same group that failed to deliver on its claim of statehood in 2006 to transform into a more ambitious project, proclaiming itself a global state in 2014. This essay then goes on to argue that the claim of IS to statehood is less about the group’s conviction that it could achieve global supremacy and more about serving as a measure to outbid and eclipse al-Qaeda. The essay also explores how IS leaders regard the future of the group if it loses all its territories. It argues that although IS’s territorial losses may diminish the group’s appeal to foreign fighters, it is nevertheless pursuing a parallel strategy of taking credit for violent freelancers, so as to project outreach in places where it lacks tangible control. Do you, America, consider that a loss of a city or territory constitutes [our] defeat?! Did we actually suffer defeat when we lost cities in Iraq and we had to roam in the desert with no city and land? Do you think that we will be defeated and that you will be victorious if you captured Mosul or Sirte or Raqqa and all the [other] cities [we continue to hold], and [even] if we [are forced to] return to our prior [non-territorial] status? In this statement, Al-‘Adnani was referring to the group’s recent history, which began in 2006 with the proclamation of ISI, the parent group of today’s IS. Indeed, ISI faced near annihilation in 2007–2008; and its leader Abu ‘Umar al-Baghdadi—who declared himself the Leader of the Faithful (amir al-mu’minin), a title that refers to the office of caliph—was killed in 2010. In effect, al-‘Adnani’s statement was meant to be interpreted to mean that just as in 2014 we snatched victory from the jaws of our 2008 defeat, we will do so again. The statement carried a double entendre: while America should take this statement as a threat, IS supporters should understand it as a promise. But why would a group that failed in its statehood bid in 2006 in Iraq want to make another attempt in 2014, this time even more ambitiously laying claim to the establishment of a global state? For starters, neither ISI nor IS have had any designs on seeking the recognition of the international community and pursuing membership in the United Nations. Jihadi groups like al-Qaeda and IS do not recognize the legitimacy of the world order of nation-states, and have therefore no desire to campaign—either violently or peacefully—within the parameters of international law. Instead, in the eyes of their supporters, jihadi groups base their legitimacy on the laws of war and peace that once governed the Muslim world’s relations with the non-Muslim world in the pre-modern era—that is, before the advent of the current system of international law, which regulates relations between states. In so doing, they project a parallel international order—one designed to supplant the existing one, whose legitimacy derives from the international community of states, including Muslim-majority states. Although all jihadi groups sing the praises of unity in their public statements, the jihadi universe is littered with differences over ideology and strategy. When jihadi groups do not share the same geographical area, their differences are less obvious, often leading casual observers to confuse the jihadis’ rhetorical devices about “brotherhood in Islam” with ideological solidarity. However, when different jihadi groups are in close geographic proximity, their seeming brotherhood invariably turns into enmity, resulting in deadly intra-jihadi conflicts. This has largely been the pattern that has governed intra-jihadi dynamics during the past few decades. Indeed, jihadi infighting in Afghanistan, Iraq, and Syria has repeatedly demonstrated that the fiercest enemies of jihadis are other jihadis, as I have argued in my book The Jihadis’ Path to Self-Destruction (2010). It is by examining such intra-jihadi dynamics that one may appreciate that IS, as well as its parent group ISI, proclaimed statehood both as a strategy to outbid other jihadi groups and as a recruiting tool to attract foreign fighters. What Went Wrong with ISI? To be fair, the matter is better framed thusly: it is less about what went wrong with the proclamation of statehood in 2006 and more about what was not going right for the jihadis in Iraq at that time. The founder of the Iraq-based group, Abu Mus‘ab al-Zarqawi, was reluctantly admitted by Osama bin Laden into al-Qaeda in December 2004. By then, al-Qaeda had lost its safe haven in Afghanistan and had suffered the loss and/or capture of many of its tier-one operatives. Al-Zarqawi’s group, on the other hand, was active in Iraq following the country’s invasion in 2003 by U.S.-led forces. This union did not yield the outcome al-Qaeda’s leaders had intended: it was not only al-Zarqawi’s bloody sectarianism that displeased al-Qaeda, but also the intra-jihadi fighting that ensued as a result of his ideological rigidity, thus turning the Iraqi jihadi landscape into an inferno. By the time he was killed in June 2006, al-Zarqawi had been rebuked by al-Qaeda’s leadership: the latter’s letters were leaked at the time, resulting in a palpable divide between the two organizations. Concurrently, what came to be known as the ‘Anbar Awakening’ was yielding positive results, with American forces succeeding in their appeal to local insurgents who had been fighting alongside al-Zarqawi but did not share his tendency toward sectarianism and indiscriminate violence. Al-Zarqawi’s successors decided to up the ante, proclaiming a state within months of his death. This proclamation was partly a desperate step to force various jihadi factions to acquiesce to ISI’s leadership. It was also a measure to outbid al-Qaeda, whose ability to operate on its own pre-9/11 terms had been largely diminished. I doubt that your eminence, whose established and lengthy experience in jihad, including your extensive dealings with various groups, would allow this hasty and defiant step that will [undoubtedly] carry dangerous repercussions on the future of jihadi activities in Iraq. the proclamation of a state has no meaning, for the jihadis have no control over territory, and political authority and all the institutions of the state are [all] controlled by the enemy, such that the jihadis cannot even be seen in the open. to cover up their weaknesses (in the military and security [domains]) and took to convincing themselves and others that they should [focus on] building a state and its institutions without paying due attention to military and security matters. we virtually became an organized army whose movements are known […] to everyone while America turned into guerillas working to assassinate the leaders and the jihadi elites […] we lost the cities, then the villages and [even] the desert became a dangerous shelter […] and [we] found ourselves in a closed circle. In effect, ISI did not rise in 2006; rather, the proclamation of the state was itself a fall. But the group’s terrorist campaigns lasted long enough for its offspring, the Islamic State, to capture territory in Iraq, Syria, and Libya, outbidding and eclipsing al-Qaeda. What Went Right for IS? If one of ISI’s infamies in jihadi circles was to declare a state when the group had no territory to govern, IS learned from this by not proclaiming their global state or caliphate until the group captured stretches of land in both Iraq and Syria. Indeed, by the time they proclaimed the Caliphate, the group had captured Mosul in Iraq and had consolidated itself in al-Raqqa in Syria, along with several areas in the eastern parts of that country. It is for this reason that al-‘Adnani could claim that the group destroyed the Sykes-Picot borders that had been drawn almost a century earlier by the French and British. The group marketed its territorial tamkin as a promise from God as revealed in the Qur’an (24:55). Indeed, IS leaders and the group’s publications repeatedly highlighted that true believers are those who will fight in God’s path against the unbelievers. In return, He will reward them with tamkin, so that they may establish an entity where God’s Law would reign supreme. For a certain demographic, this ideological argument resonated, especially as the group kept capturing cities and towns in Iraq and Syria, and subsequently expanded into Libya. Furthermore, within months of promoting itself to a caliphate, IS proceeded to establish provinces (wilayat) across several continents, in order to project an image of global presence, though controlling these provinces did not translate into actual governance over territories. A careful examination of successive IS victories reveals that they were partly due to the rising morale and strengths of its fighters. But, more importantly, these victories came largely as a result of the weaknesses and/or divisions existing within the group’s enemies—many of whom did not prioritize the fight against IS or did not agree on a common strategy to defeat it. In short, with each piece of territory captured, IS fighters and their supporters likely believed that God was fighting on their side. What is Going Wrong for IS? The size of the Islamic State peaked before the group celebrated its one-year anniversary. Although IS’s influence has mounted and inspired several terrorist operations beyond its borders—including in Europe and the United States—the group has been losing territory in Iraq, Syria, and Libya. Al-‘Adnani’s May 2016 statement, quoted above, suggests that the leadership of IS is realistic about its territorial setbacks, and that roaming in the desert may well be on the horizon once again. Another question to address revolves around how the group is handling its diminishing territory and successive defeats. Apart from calling upon IS supporters “to open up the door of jihad” in Europe and the United States, al-‘Adnani’s recent rhetoric seems to be less about tamkin and more about belief. Thus, he now holds that “defeat is determined when one loses the will and the desire to fight.” He underlines that “only in one condition will you [i.e., America] achieve victory and the jihadis would lose, when you succeed in removing the Qur’an from the hearts of Muslims.” In other words, so long as Muslims continue to believe in God and in His message, victory will always be on their side. In saying as much, al-‘Adnani equated the Islamic State’s project with the aspiration of all Muslims, no doubt to give fuel to the Islamophobic discourse that is gaining ground in some parts of Europe and the United States. The consecutive military setbacks inflicted upon IS are unlikely to bring an imminent end to the group. How, then, should one assess the threats emanating from IS in light of its military defeats? Notwithstanding the large swath of territories the group has lost during the past year, IS nevertheless amassed considerable resources during its first year as a global state. Accordingly, assessing IS exclusively on the basis of its military losses would lead to a skewed picture of the threat that the group continues to pose, both inside and outside its territories. If the objective of IS is strictly to build a global state on the ashes of all other states, as its leaders claim, then the group has failed in terms of both criteria: success and effectiveness. In the context of IS, now that it is progressively losing control over the territories it once governed, the group would likely welcome “engrenage” even if the attacks are carried out by freelancers who evade its direct control. So long as such attacks keep generating a cycle of violence and are carried out in the name of IS, the group will take credit for them to project an outreach that lacks tangible control. 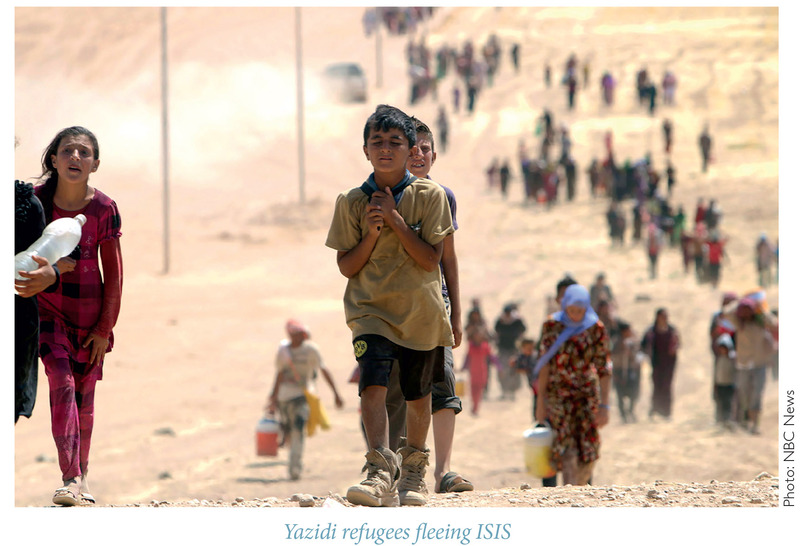 If there is no end to the cycle of IS violence in the near future, is it likely to abate? And what might be the factors that could cause such an abatement? As noted earlier, the capture of cities by IS enabled the group to accumulate massive resources. If these resources are put in the service of terrorism—and since mounting terrorist operations is relatively cheap—then IS will be well positioned to deliver countless indiscriminate operations against the world community for a long time to come. However, if the group continues to prolong its hold on territories and puts some of its accumulated capital in the service of governance—however poor in quality it may be—then this would have a damaging impact on the longevity of IS as a terrorist group. Beyond that, how might the group fare in its appeal to foreign fighters? Two factors are worth noting in this respect. First, IS has built its popularity and appeal to foreign fighters on its early military successes. Thus, it may be argued that the group’s success in attracting foreign fighters was intrinsically linked to its success on the battlefield. If this is plausible, it is doubtful that IS will continue to effectively attract foreign fighters in light of its ongoing territorial losses. Second, any decrease in the number of foreign fighters joining IS should, nevertheless, be considered alongside IS’s online expansion. Despite the group’s territorial contraction, IS is nevertheless developing an online empire, with its official media output being communicated in several languages other than Arabic (e.g., English, French, Russian, and Turkish). It may be argued that this growth in online activity will serve to radicalize more people and incite them to violence in the name of IS. Conversely, a case can also be made that the growing virtual empire would rather provide more online jobs than it would recruit soldiers. Of course, the two arguments need not be mutually exclusive.